Columbia Business School alumnus Tim Kopra '13BUS landed on Earth this weekend after six months on the International Space Station (ISS). 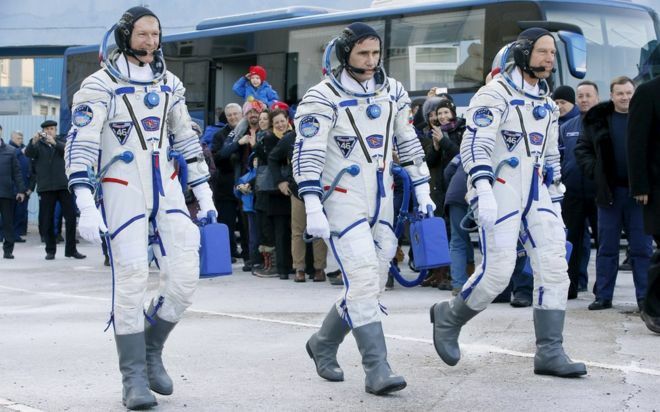 Kopra, along with British astronaut Tim Peake and Russian cosmonaut Yuri Malenchenko, touched down in remote Kazakhstan on June 18. In April, Kopra spoke to Business School students from ISS. The exclusive Q&A session was livestreamed by NASA from the station, approximately 220 miles above the Earth. According to Columbia, more than 250 students, alumni, faculty members, and friends crowded into Uris Hall for the broadcast, and hundreds watched online. Before his mission, Kopra spoke with Columbia about his unique career path. "Probably the most viable skill that we have in our job on the Space Station is really getting along with others," he said. "My experience at the EMBA Global program, specifically Columbia, helped with that. I had some tremendously powerful and influential instructors who taught me [a lot] when it came to leadership." Kopra echoed these sentiments during the Q&A with the Business School. "Leadership is a continual learning process—we are always learning, whether it's in a business scenario or here on [the] Space Station," he said. "One of the things the MBA did for me was reaffirm that." A session attendee asked Kopra whether his perception of the world has changed after seeing it from a distance "without borders." According to the Columbia, Kopra said one can get a "very physical sense" of how interconnected the world is: he can see the globe being crisscrossed by networks of interlocking roads and watch ships traveling from one port to another. In a nod to his School, Kopra added, "Business is one tremendous way that we are able to experience some of that interconnection and have some common bonds." Business School students weren't the only ones who got to chat with Kopra from space—Mark Zuckerberg interviewed the astronauts in a first-of-its-kind Facebook Live interview. Kopra went into detail with the Facebook CEO about the crew's experiments. "One of the main things we do is try to understand the impacts of zero gravity on the human body—a lot of negative impacts. In large measure, we're an experiment. We exercise a couple hours every day, it's mitigation for loss of bone density and muscle mass." 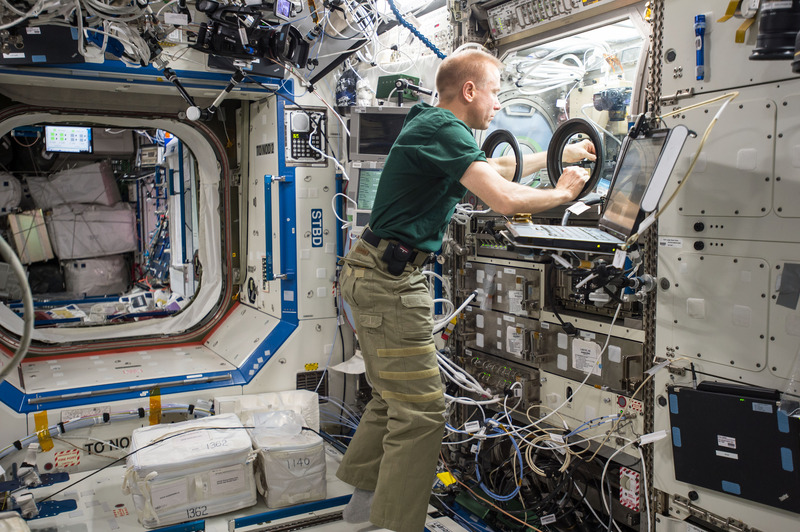 Aboard ISS, Kopra also conducted experiments to explore fluid mechanics and combustion. He also assisted with repairing and maintaining the station. Kopra joined NASA in 1998. This was his second trip to ISS.